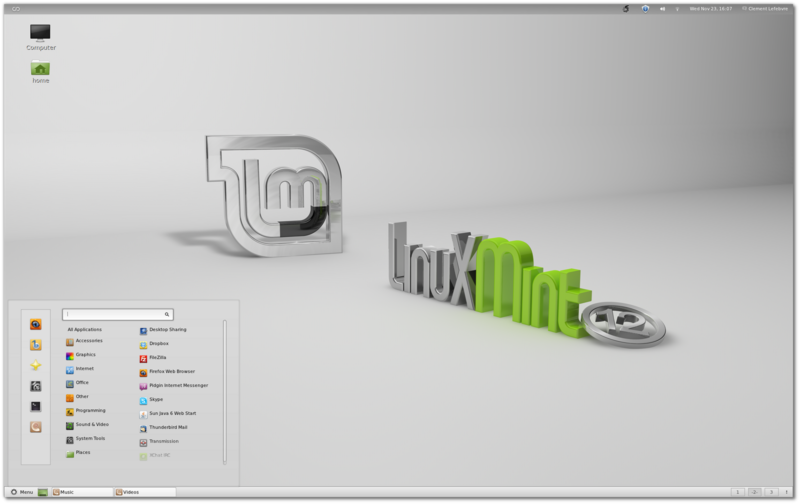 Linux Mint 12 Lisa Review: Magnificent is the Word! 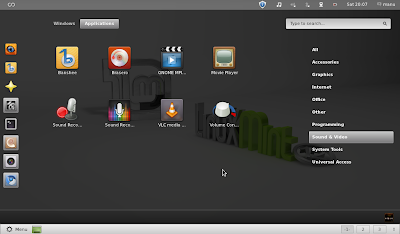 Linux Mint, the venerable Ubuntu based Linux distro, is in the news again. 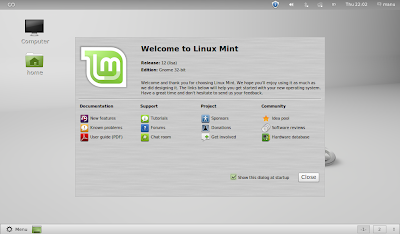 Linux Mint 12 codenamed "Lisa" is finally released. It based on GNOME 3.0 and runs GNOME Shell with some ingenious tweaks of its own. Detailed review of Linux Mint 12 "Lisa" OS. Read on. A friend of mine had issues with configuring his new Creative 5.1 speaker system in Ubuntu 11.10 Oneiric Ocelot. He tried different ways to make it work before calling me for help. So when I finally found his system, it was in a pretty bad shape. I had no clue where to even start with. Then I learned that the release of Linux Mint 12 "Lisa" was around the corner. The system would be better off with a reinstall anyway, so I thought, why don't I just give Linux Mint 12 a try and see what happens. I went on to download Linux Mint 12 "Lisa" 64-bit DVD release. Installation went smooth and fast, thanks to the new improved Ubiquity introduced during the latest Ubuntu 11.10 Oneiric Ocelot release cycle. All essential applications and codecs were already in place and it was quite slick too even with all the added GNOME Shell tweaks. Then I plugged in the Creative 5.1 speaker system, launched Sound Settings from Volume Menu, choose Analog Surround 5.1 Output from Hardware tab and that was it. All 5 speakers and the subwoofer was working just fine. I was really impressed. And so I decided to install Linux Mint 12 in my netbook replacing my old, reliable work horse Ping-Eee OS for the very first time. Unity and GNOME Shell desktop environments are slowly starting to gain acceptance everywhere. Hue and cry over missing features and customization options has now almost over. 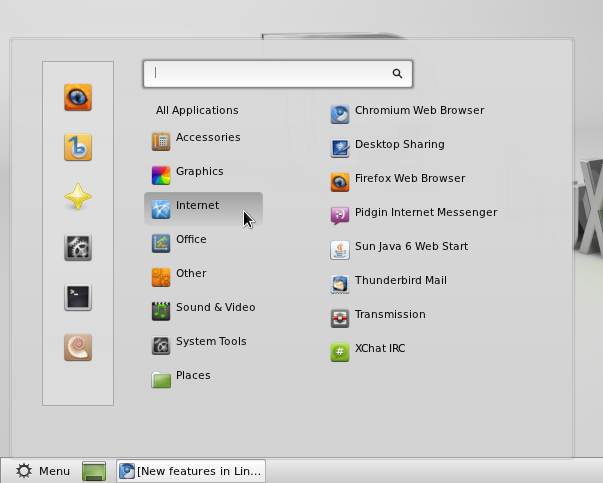 Popular distros like Linux Mint, which earlier chose not to use either GNOME Shell or Unity for its Ubuntu based Linux flavor now runs on top of GNOME 3.0 and GNOME Shell. GNOME Shell already have extensions support and Linux Mint 12 Lisa comes with a bunch of new GNOME Shell extensions pre installed and activated. They include Menu Extension, Media Player Extension, Smart Overview Extension, Bottom Pannel Extension, User Theme Extension etc. to name a few[To try some of these in Ubuntu running GNOME Shell, see our article featuring top 7 GNOME Shell extensions]. GNOME Tweak Tool also comes pre installed in Linux Mint 12 "Lisa" which makes it even simpler and easier to manage GNOME Shell themes, extensions and other minor GNOME Shell specific tweaks. At the moment, it is virtually impossible to use, configure and customize GNOME Shell desktop satisfactorily without GNOME Tweak Tool. GNOME Shell experience in not new to me anymore and I have been extensively using GNOME Shell with Ubuntu 11.10 for sometime now. But Linux Mint 12 is different. 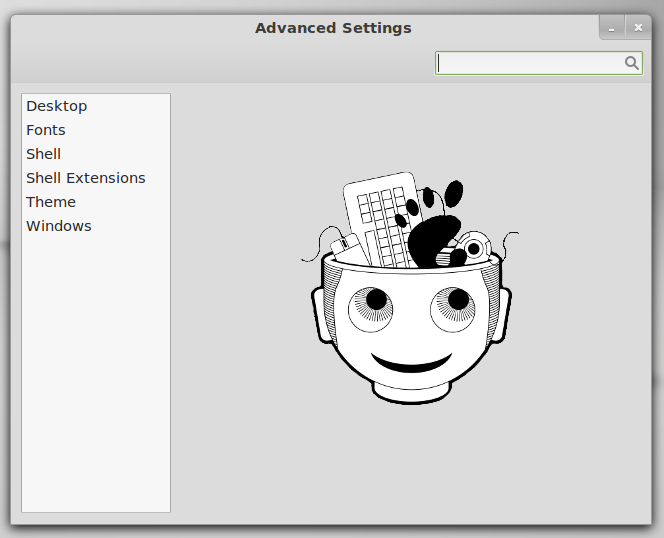 To me, one of the first highlights of Linux Mint 12 experience was its neatly executed Welcome Screen with useful links to User Guide, Tutorials, Hardware Database etc., something that other Linux based distros can also emulate. A task-centric desktop (i.e. you switch between windows, not applications). All those tweaks are brilliant additions to the vanilla GNOME Shell experience. The bottom panel and Mint Menu extensions make it look more traditional. But if vertical space is at premium, those extensions suddenly becomes less ideal. In my netbook, I always preferred Unity over all other desktop environments simple because of the reason that, Unity desktop is the best when it comes to the utilization of available vertical space. Read our Ubuntu 11.10 Oneiric Ocelot review for more on that. 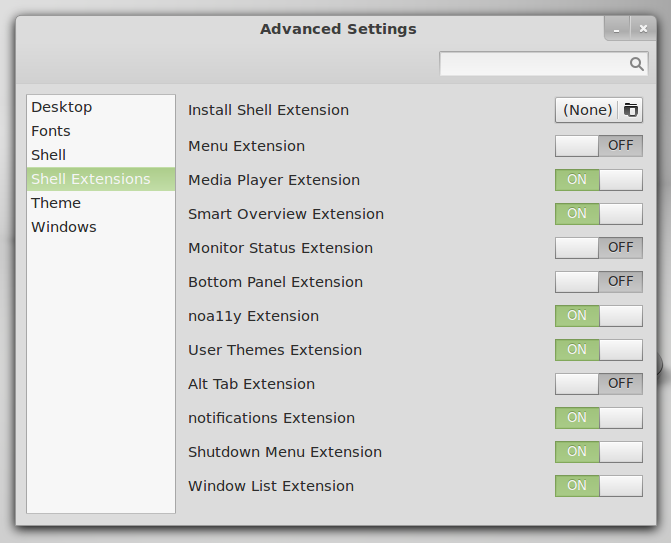 Anyway, I went on to disable many of those extensions in Linux Mint 12 that compromised vertical space in my netbook. 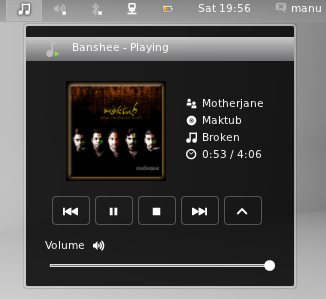 Default music player application is Banshee and it is neatly integrated with Media Player GNOME Shell extension like in Ubuntu 11.10 Oneiric Ocelot's Unity desktop. 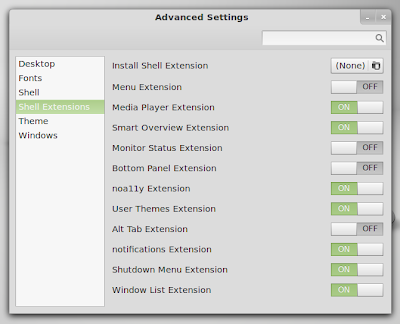 Smart Overview GNOME Shell extension is brilliant. Finding and launching applications and files have never been easier, thanks to the radical improvements brought about by GNOME Shell desktop environment. 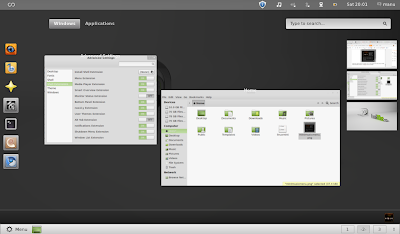 Speaking of applications, default list of apps for Linux Mint 12 include Banshee 2.2, VLC 1.1.12, GNOME MPlayer 1.0.4, GIMP 2.6.11, APTonCD, Brasero Disc Burner etc. to name a few. Linux Mint 12 "Lisa" is a nice blend of old and new. I can sum up the whole review in a straight forward sentence, Linux Mint 12 is simply the best GNOME Shell experience I've had so far. It is really fast, stable and looks really simple, consistent. If you want the best out-of-the-box experience of cutting edge GNOME Shell desktop environment, look no further.